Any chance I get to bake I take it. Baking just for me and for the family has gotten a bit…well… it’s hard to explain. There is only so much cake one family can eat! So, I've cut back a bit on my baking “just because” and baking more useful things like bread. So, having some mum friends around for coffee was a great excuse to use one of my new books I got over the holiday period! Cake by Rachel Allen! I have watched Rachel since I moved to the UK on her various TV programs. I could never decide which one of her books to start with, not being able to buy all of them in one go, I didn't. It wasn't until watching Cake Diaries on the Good Food Channel that I decided to start with the accompanying book. 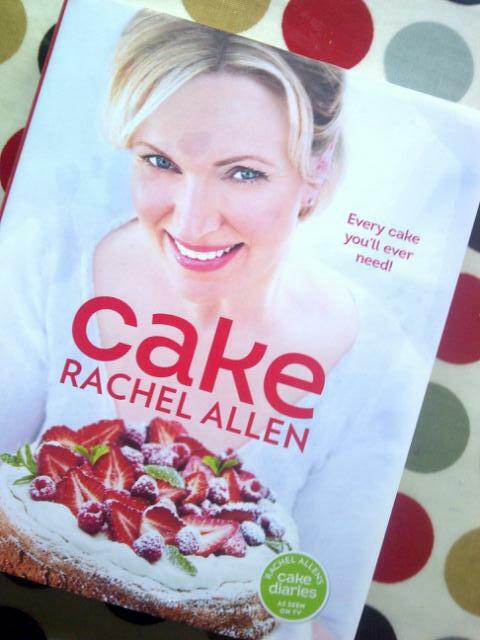 Cake is broken down into 9 chapters: Easy; Fast; Healthy; Classic; Teatime; Dessert; Children’s; Celebration; Festive. 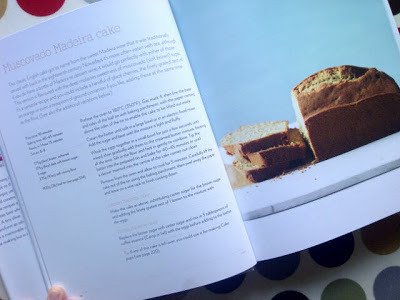 The Chapter titled ‘Easy’ is where I found the recipe for the Muscovado Madeira cake the one I made for my mom friends. 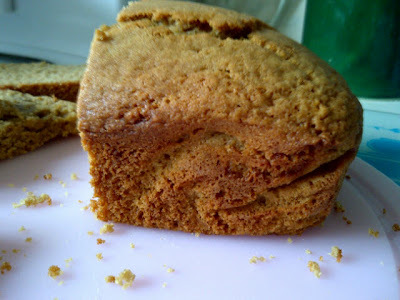 With only 4 ingredients (butter, dark soft brown sugar, eggs, flour) this cake was easy to throw together. 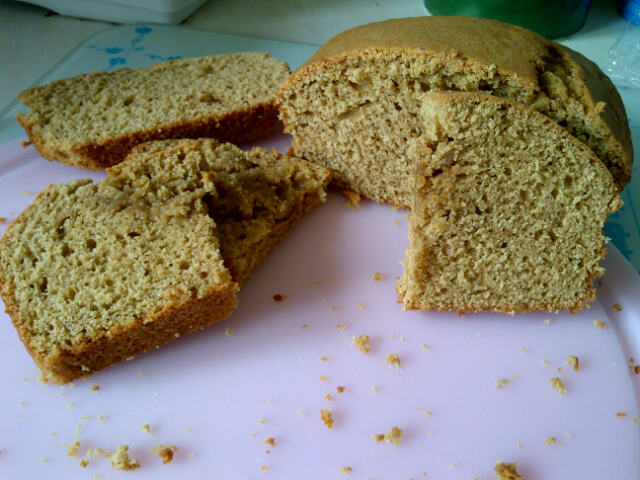 It was a hit as well, everyone said it was very nice and went great with coffee or tea! Normally when reviewing a book I list all the recipes I really want to try, but this book is slightly different. It has so many different ideas for different occasions I wouldn't know where to start my list. However, I know that whenever a cake is needed, Cake will be one of the first places I look! It has so many great looking (sounding) cakes, 200 to be exact, that I will be completely spoiled for choice!! notes: last picture; 1. Angel Cake, I love Angel Cake and this is the first time I've seen it not made in a tube pan! A must try! 2. Madeleines, these are everywhere I look at the moment! Thinking I'll have to try them soon! 3. Rhubarb and Custard Swiss Roll one of the reasons I bought the book. Looks delicious!